Hardcover, 8 x 11.25 in. / 96 pgs / 72 color. Text by Jacques Dupin. Translation by Paul Auster. French father of Surrealism André Breton called Spanish artist Joan Miró (1893-1983) "the most Surrealist of us all," while Miró himself infamously called for "the assassination of painting." Particularly between 1927 and 1937, transformative years during his very long career, Miró worked to both attack and reinvigorate painting. Though he maintained his freedom, experimenting with other movements such as Expressionism and Color Field painting and never truly becoming a member of the Surrealist group, Miró was among the first to incorporate automatic drawing into his practice. He left behind a distinctive body of mixed-media work--including paintings, murals, sculptures, mosaics and ceramics--whose influence has only continued to grow. 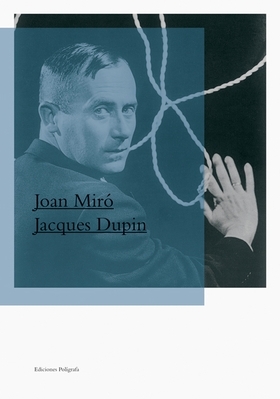 This fully illustrated publication, with an essay by leading Miró scholar Jacques Dupin, reveals new aspects of the artist's life and work. Joan Miró was born in 1893 in Barcelona. 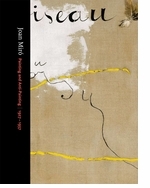 After his first trip to Paris in 1920, and through 1931, Miró generally spent half of each year in the French capital and half in his native Catalonia, returning to live in France after the outbreak of the Spanish Civil War in 1936. 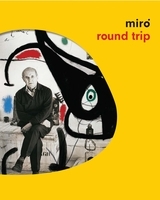 One of the twentieth century's greatest Modern artists, Miró created a pictorial world of intense imaginative power, in which visionary and cosmic elements are inextricably intertwined with the earthly and mundane. He died in 1983 in Palma de Mallorca, Spain. Text by Stephen F. Eisenman. Text by Carola Giedion-Welcker, Max Bill. FORMAT: Hbk, 8 x 11.25 in. / 96 pgs / 72 color.